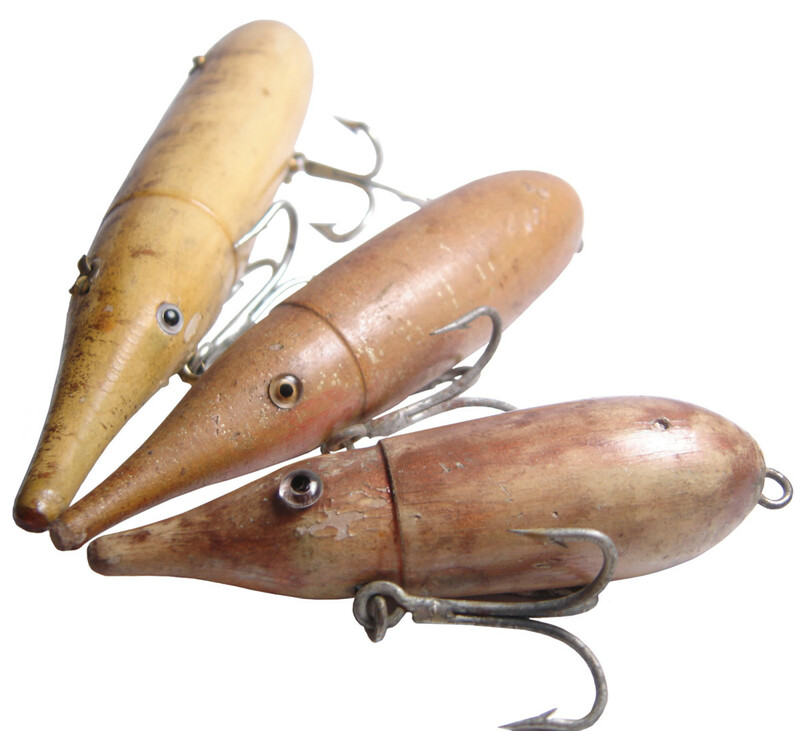 The wooden Norris Jet Squid plug, which is sought after by many saltwater lure collectors. Look at the Norris Jet Squid, and you’ll see a blueprint that was formed in a mind alive with inspiration. This classic wooden plug was designed by Ernest “E.B.” Norris of Hyannis, Massachusetts. He and a friend, Bill Cook, made them in their basements, starting in the late 1940s, and sold them around Cape Cod into the ’50s. 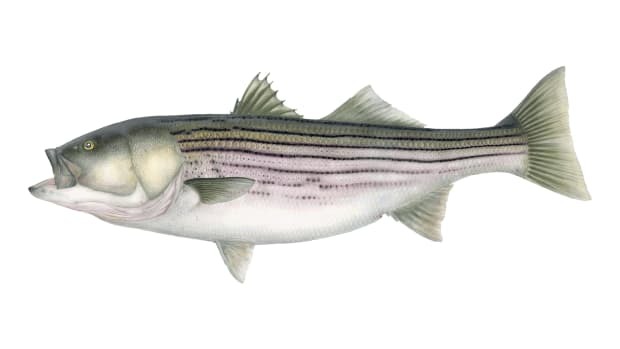 As its name implies, the plug was designed to look like and mimic the actions of a squid, a favorite of striped bass, bluefish and most everything that swims. Speaking as a plug builder, I can say with authority that imitating a squid with a piece of wood is no easy task. And few have come as close as Ernest Bradford Norris did with his plugs. 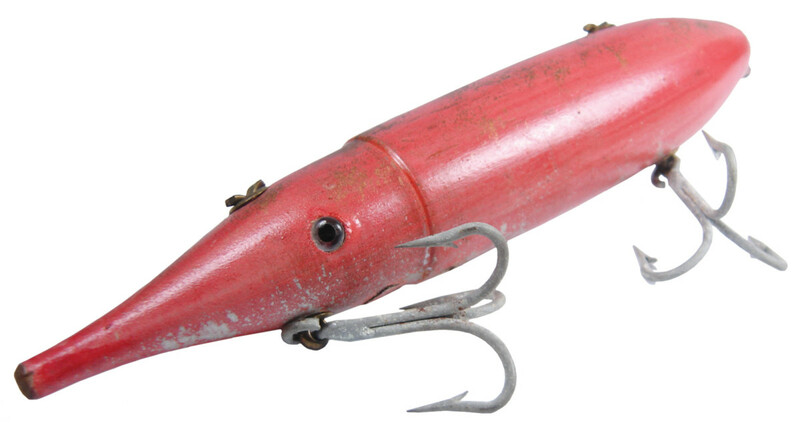 Norris made the lures in four sizes and several colors, ranging from the rare 4-inch “baby” weighing about an ounce and a half to the 8-inch, 4-ounce jumbo model. The squids were made of maple, and the treble hooks were attached with a cotter-pin hook hanger that passes through the bottom of the plug and out the top, where the pin folds over. They come in at least three colors: natural finish, white and pink. 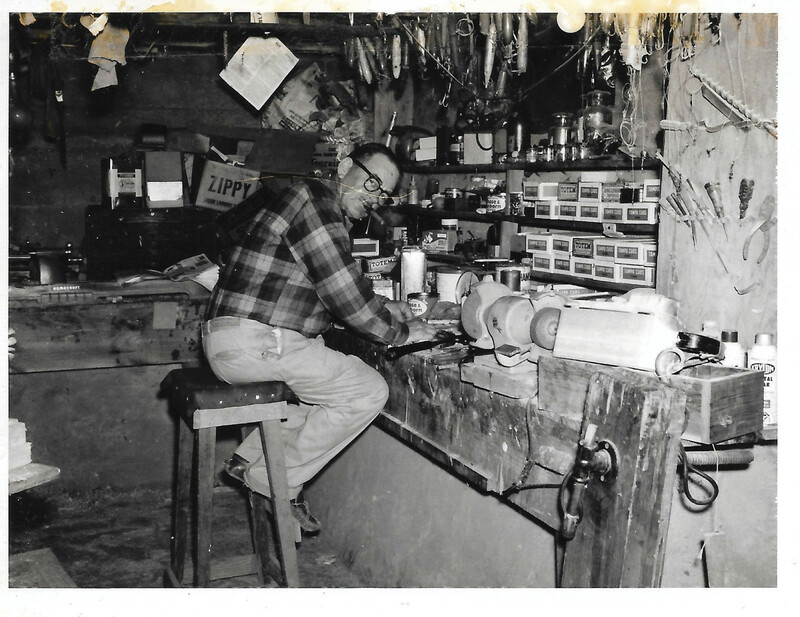 Ernest “E.B.” Norris in his basement workshop. The action of the plug is very lifelike. 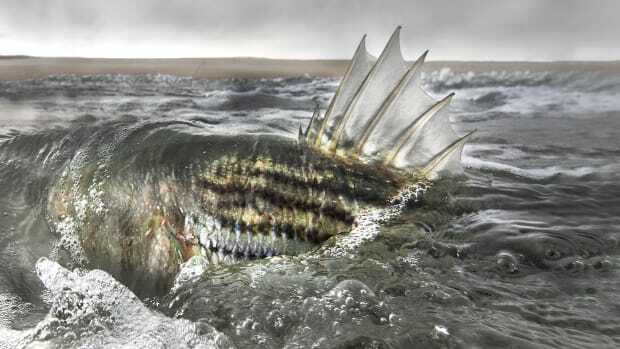 It reminds me of a cross between a Zara Spook or pencil popper and a darter. You could walk it back and forth across the surface and also crank it underwater, where it surges right and left like a fleeing squid. The line tie is at the rear of the plug, so it swims backward when retrieved, just like the real thing. I have borrowed original Jet Squids for reference, but I wouldn’t tempt fate by risking a cast with one. Instead I made a replica, which I have fished. And I’m not alone. 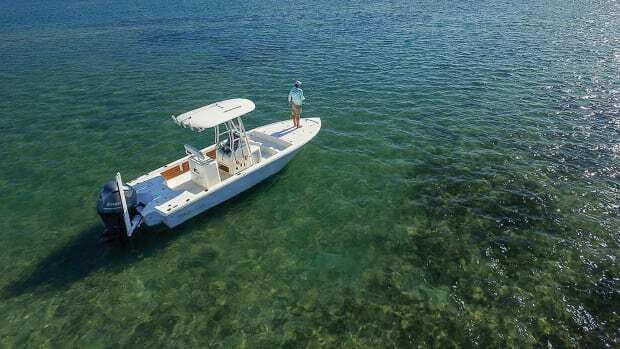 Since the renaissance in custom plug building that started 15 or more years ago, a number of fishermen, who also turn plugs, have produced Jet Squids, most of them staying true to Norris’ original design. And they catch. Three sizes of the Norris Jet Squid from the collection of Dr. Frank Richardson. Family members tell the story of how Norris and Cook, anxious to test their first plug, took it to Great Island in Hyannis, where Norris caught a striper on his first cast from the beach, according to Dennison. The Jet Squid emerged at a time when saltwater plugs were more simplistic in shape and color, and natural details such as eyes and scales were rare. Norris’ creations, by contrast, have sharp details, and it’s easy to see the thought that went into designing and shaping them. Norris clearly raised the art form a couple of notches in his basement, dubbed the “Norris Hobby Shop,” where he also built some very early needlefish plugs. What was the inspiration behind the plug? On that question, little is known. I suspect no one alive today knows the specifics of the Jet Squid story. As a surfcaster, I like to think Norris was summoned to a bass blitz along a beach by the hollow pops and slurps of large fish corralling squid against the shore. 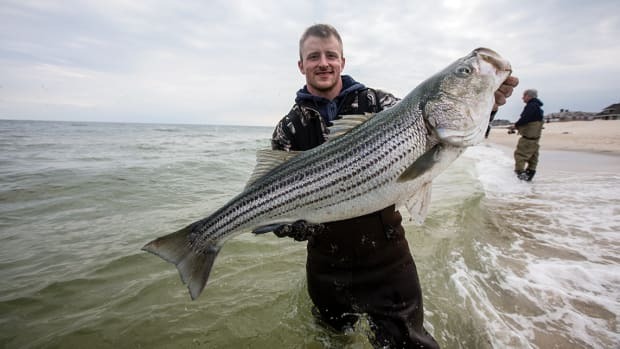 If you haven’t seen packs of 35-plus-pound stripers working bait on the surface, you should know this much: The boils, the size of tractor tires, will take your breath away. 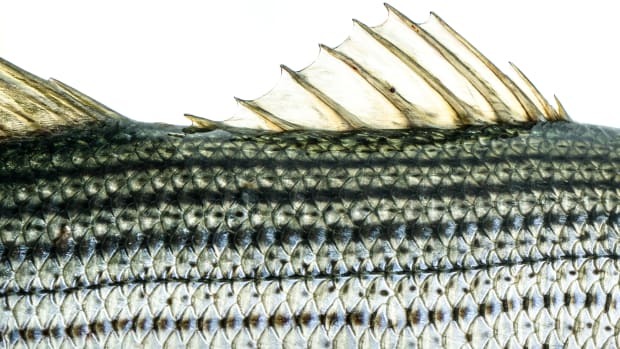 When stripers are really turned on and competitive with one another, presentation and finesse take a back seat to catching as many as possible. 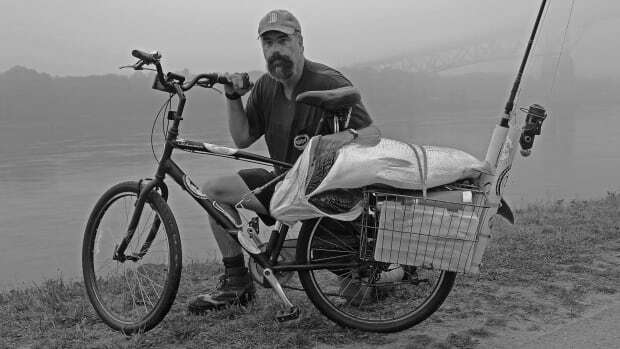 It’s those other times, when you find yourself humbled with a sore arm and little to show in the way of fish, that you meditate on the moment, searching for something useful to fall back on as you cry yourself to sleep that night. 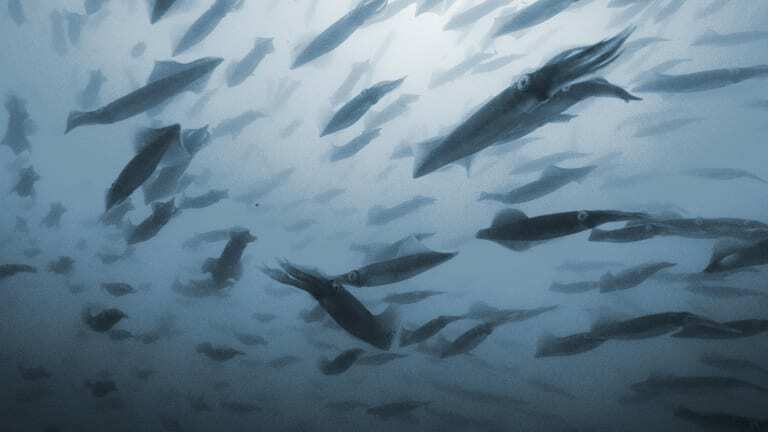 Emptying your bag of plugs without hooking a striper when they are gorging on squid can be tough to swallow. And I suspect it was just that frustration that drove Norris into his basement shop, intent on creating something that would catch. At the time, nothing looked real enough — nothing had the sloshy, squirting, gliding action of a frantic squid hell-bent on the salvation of the shallows. Nothing had the shape or detail, the large rear-positioned eyes, the tentacles, the motion. I suspect Norris must have watched closely as the color of panicked squid changed from yellowish-white to a stippled rose and then to dark, rusty red before disappearing in a burst of white water. Gradually, his vision took shape. The plug had to look like a squid, with a broad mantle, a ridge giving way to eyes and the suggestion of tentacles. And it had to be capable of being worked on top with an unpredictable back-and-forth sliding, as well as being pulled underwater and retrieved quickly while veering left and right, selling the ruse of escape and distress. As a plug maker, I see clear evidence that the Jet Squid underwent a good bit of testing. The off-center line tie, for example, serves to destabilize the big wooden plug, causing an awkward movement as the buoyancy of the wood struggles against rod and line. Some weather-worn originals show spackled holes — cracked and swollen — meant to hide the strategically placed shots of lead added for ballast and action accentuation, and to carry the plug on the cast. We’ll never know how many hand-tuned originals left those neighboring basements in Hyannis, but we do know that casters and collectors remain mesmerized by the Jet Squid. The price for the more common, larger model is about $400, depending on condition, Dennison says. 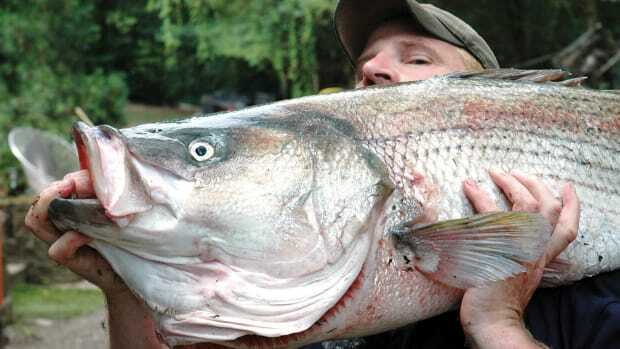 The 4-inch version is as rare as an 80-pound striper and might run $800. When the plugs were new, they probably cost $1.50 to $2.50 — a fair bit of money at the time — according to Dennison and Curley. It’s safe to say that since the Norris Jet Squid there have been a dozen or more plugs built to look and move like a squid, a good example being the amber-colored Reverse Atom. Scads of squid baits are on the market today, if you count soft baits designed to be trolled. But the Norris Jet Squid started everything. 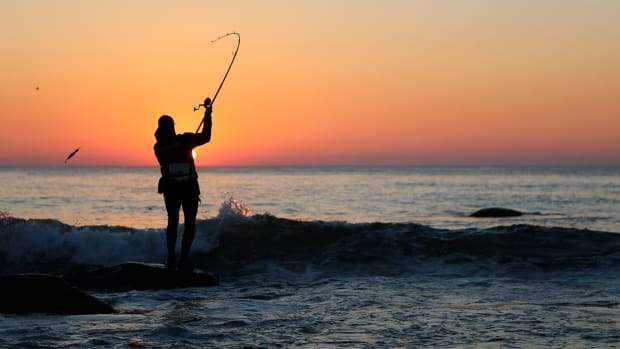 Perhaps those inspired vibrations are still alive, deep within the weathered wood, to be felt by anyone who shares a love of fishing for striped bass. Or maybe it’s the marvel of ingenuity that draws us to the original Norris Jet Squid. 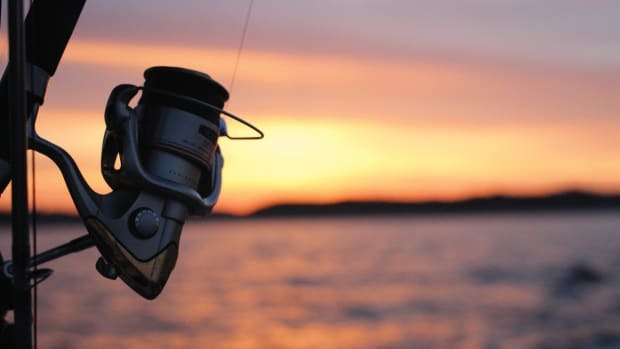 Everyone who fishes, no matter the species, has seen prey that made them think about how to replicate action, silhouette or color. It’s in our blood, put there by innovative craftsmen of yesterday and today, who continue to experiment and test and push the boundaries of plug making.